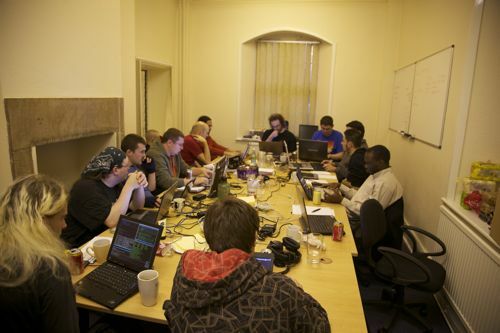 On 20th November 2010 Shadowcat Systems was once again proud to host and to sponsor the North West England Perl Mongers' yearly hackathon. In this blog I want to talk about the shape of the event, I am hoping that the sterling effort done by Ian Norton on a hackday report last year, and Osfameron's Blog for this year, will be repeated and I will be able to link to those able bodies at a future date. 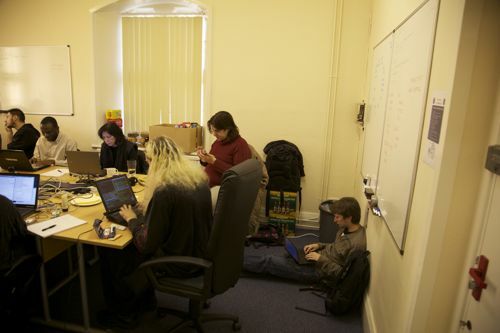 In contrast to last year we had sign-ups for attendance on the Hackday at the "meat space" location by members of Perl groups and organisations outside of the North West. The wonderful Gabi came across from Germany and there were three members of the newly-formed (earlier this year) and impressively talented Glasgow.pm., alongside this were the virtual presences (who were no less impressive) of castaway, theorbtwo and getty. 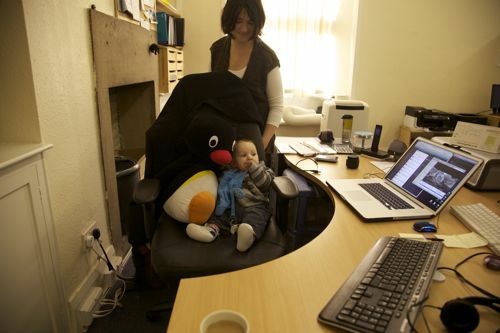 In total we had fourteen people in the office and three visitors including mdk's (Shadowcat's Mark Keating) son. Ian Norton took charge of the day in his usual fashion by introducing everyone to each other, making a plan of people's names and where they sat and then organising the people into teams to start the work of coding. Mark as co-leader made sure the room was in respectable fashion with enough power points available, network access, wireless access, Amazon EC2 account setup, passwords and usernames available and beer and snacks in place. There was already a set list of tasks prepared on the Wiki for people to grab and start to plan on and the three projects had a roadmap of what they would like to achieve both on the day and going forward. The projects were Oyster, Presenting Perl and Ironman. On the day we managed to make a start on all three with Presenting Perl having a back-end code re-write from mst (Shadowcat's Matt S. Trout) and tasks hacked on by castaway and theorbtwo (Jess Robinson and James Mastros), there was also input and a start on the social linking by Getty (Torsten Raudssus). The Ironman project was being managed by Ian Norton with help from OCharles (Oliver Charles, aCiD2) and the multi-talented castaway, theorbtwo and getty. 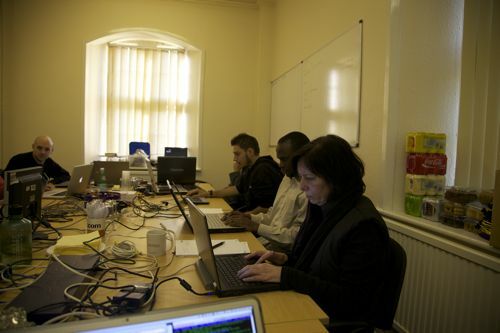 The rest of the teams worked hard on the Oyster project as proposed by osfameron. There were so many people stacked around our table that we eventually ran out of chairs, the usual members of the Shadowcat team were also in the office so we had to give them their chairs back. Thankfully epitaph (Shadowcat's C. Jackson) did a noble effort and russled up some folding chairs from home. The events of the day were sponsored by Shadowcat and so there was a plethora of snacks already available when the hard at work coders arrived, and during the day pizza was supplied to sustain the weary. There was a short lunch break where some of the group headed to buy pie and clear fuzzed synapses with fruitful discussion. My personal feeling is that this years Hackday built upon the strengths of last year and added elements that made it more efficient. There were still lessons to be learned which with further discussion and planning we will take into next year and no doubt work upon. As co-leader I would like to publically thank everyone who attended and involved themselves in the day. 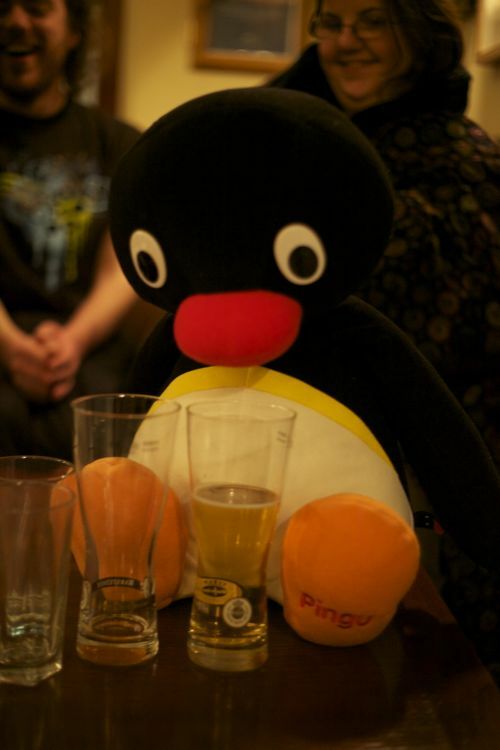 It was a success as a Perl social event and that is one of my primary reasons for supporting such initiatives. I also believe that the Perl Mongers of the North West and their growing list of honorary members and friends are an awesome* group. *I don't casually use the word awesome, in this context and of these people I am in awe of their abilities and efforts.